vernal adj. 1. of, relating to, or occurring in the spring. 2. fresh or new like the spring. The Vernal Education Project is a long-term effort to create a comprehensive education and support network that can bolster and sustain grassroots progressive social change movements in the United States. 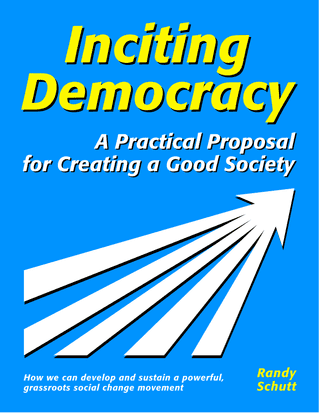 The project is described in the book Inciting Democracy. Papers, notes, and sample agendas for workshops on Nonviolent Action, Cooperative Decision Making, Strategic Planning, and more. Inspiring, humorous, and practical quotations for activists. This page last changed on June 13, 2016.